Tokeet is a complete solution that simplifies vacation rental management from enquiry to check-out. Tokeet has all the features you need to grow your vacation rental business. Keep all your channels automatically and instantly updated with the latest rates and availability. Synchronize across your marketing sites, your own website, and anywhere else you like. Tokeet has API integrations with Airbnb, Booking.com, and Expedia. We also have iCal integration with countless other channels. Never overbook or miss a reservation again. 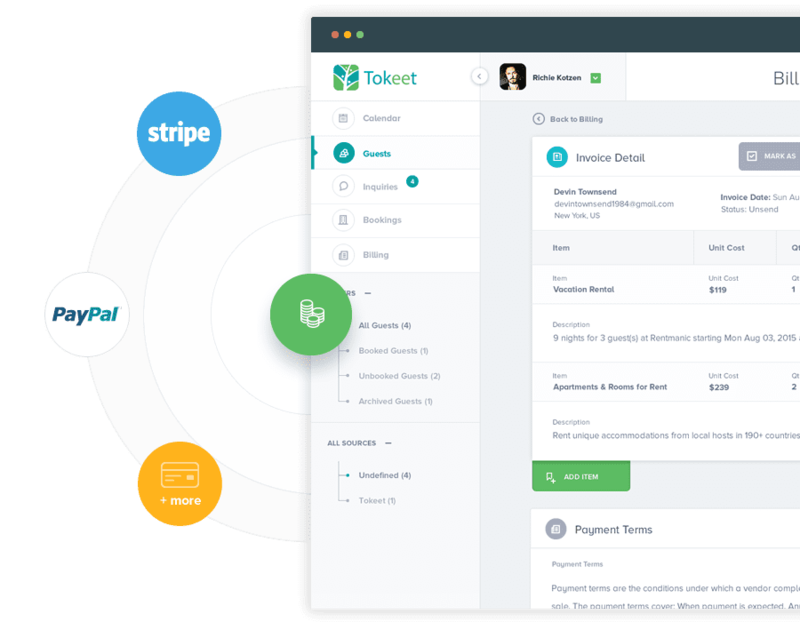 Tokeet makes sending invoices easy and free. Create and send invoices with the click of a button and accept credit card payment online or directly in the invoice using Paypal, Stripe and more. All invoices are grouped in the guest booking. If you make invoice changes your guests will automatically see all updates. There is no need to issue a new invoice. With Tokeet's fully integrated electronic document signature feature there’s no need to require your guests to print, sign, scan, then send back rental agreements. Automatically send contracts to guests when they book or pay an invoice and get notified once the contract is signed. The guest can sign using any device with their mouse or finger. Like what you see? Try Tokeet for 15 days FREE. No credit card required. Tokeet Website Builder allows you to easily and quickly create a beautiful, mobile-friendly, search engine optimized website for your vacation rentals with all the features and functionality of the professional advertising channels. We've spent a lot of time ensuring that any website generated by the Website Builder is the best it can be. With the Tokeet Website Builder you can take your vacation rental business to the next level and impress your guests from their first interaction. 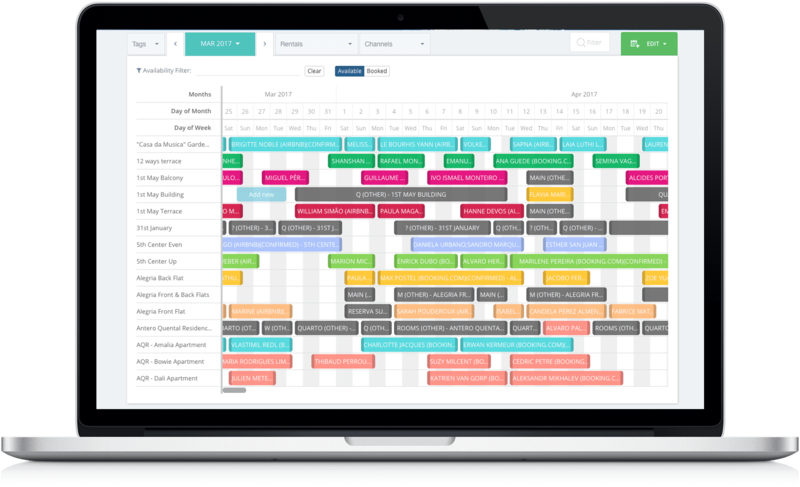 Tokeet Triggers allows you to automate your rental management and save time. A trigger is an instruction to Tokeet to perform a particular action when an event occurs. For example, triggers may be used to notify you via email when a new booking is received, send a contract to a guest once their invoice is paid, email guests days prior to arrival with important rental information, send reminders to your guests or staff, solicit feedback and reviews, or to automatically reply to guests. 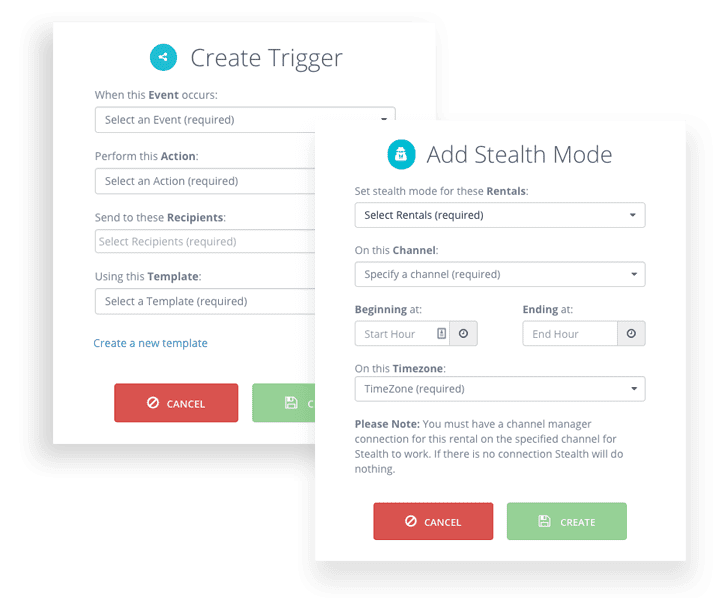 Tokeet also offers a few other automation features like Stealth Mode, which allows you to hide your listing on Airbnb during certain hours of the day. You can also schedule invoices to be sent in the future so you never forget to send that final invoice. 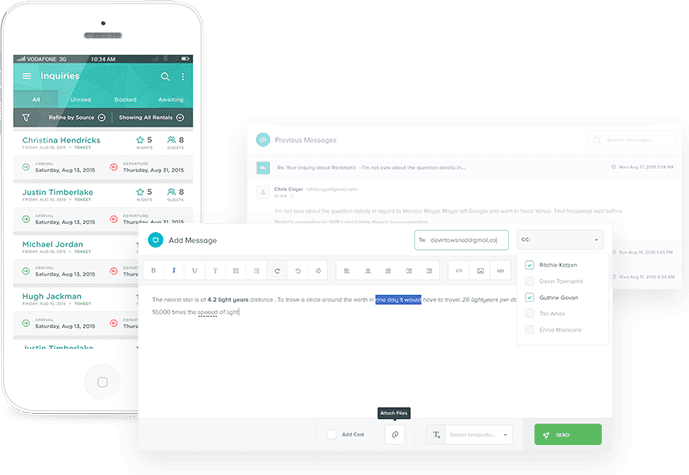 Delivery of your messages can be via email, SMS, push notification, or HTTP Post for webhooks. Need help getting started? Don't worry, Tokeet Support will help you with every step. Take Tokeet on the road with our mobile apps and manage your vacation rentals wherever you are. Never be stuck behind your desk again or miss an important timeline. Tokeet keeps you updated and in charge no matter what you're doing. Our native Android and iOS apps are designed to give you maximum ease of use so you can get the job done. We re-imagined most of our web application UI to ensure our mobile experience is second to none. Tokeet Payments is our integrated payment gateway module which allows you to add multiple payment gateways to your account. You can even add multiple accounts from the same gateway. You can also manage which gateway is used for which bookings under various circumstances using Payment Rules. Payment rules allow you to specify which gateway to use for which channel or rental. For example, you can select your Stripe gateway to be used for Rental A and your Worldpay gateway to be used for Rental B. Even further, you can specify that Stripe is only used for Rental A when bookings come from Expedia.com, otherwise use Worldpay. Want to know more about Tokeet? Check out our instruction videos. Everything your team needs to collaborate and run your business seamlessly. Tokeet integrates with the tools you already use and love to make your life easier. 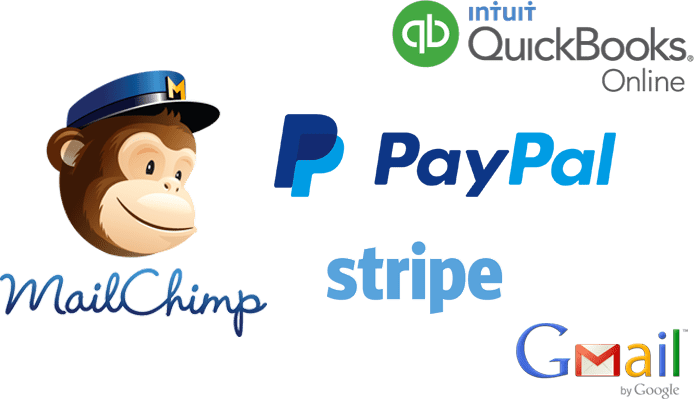 Combine the power of Tokeet with other apps like MailChimp, PayPal, Stripe and QuickBooks to take your business to the next level. We know that Tokeet is critical to your business and you need answers immediately. That's why we have real-time support via our chat app. You can also contact us anytime at 1-855-4-TOKEET if ever you need to speak to us. We pride ourselves on our support and take even more pride in our 10 minute median response time to support requests. Copyright 2002-2015. Tokeet.com. All Rights Reserved.